10 Inspirational Women You Should Know. When I was growing up the number of women in my immediate family far outweighed the men, the random course of nature meant I was surrounded by my mother, sister, aunts and grandmothers. There were of course wonderful men in my family but I certainly was positively influenced by the hard working, creative, kind, strong, caring women around me. They have all taught me so many things but I would like to give a special mention to my Mum, Sheila Barker, who is one of the kindest people I know. Outside of my family, I've met some very inspiring women and as it's International Women's Day, I wanted to take a moment to share a little of the story of these great female role models who are making an impact on the world - whether that be through succeeding against the odds, smashing the glass ceiling or making a difference through charitable, philanthropic or artistic pursuits. Cathy is a freelance journalist and producer director and we met in 2016 when we were fellow mentees on the Women In Film and TV Mentoring Scheme. Most recently, she produced Dot, a docudrama about the life of sign language poet Dot Miles and directed Dot’s Legacy, a documentary looking at her work. In 2017 she received funding from the Mary Raftery Fund to write a series of investigative articles looking at education for deaf children in Ireland which were published in the Irish Times. She started out in TV working on a magazine programme in Dublin, Ireland but made a detour into print journalism, working at the Guardian as a reporter and news subeditor for over five years. Since leaving the Guardian in 2013, she has taken part in Channel 4’s investigative journalism programme and worked on Channel 4 Dispatches, directed some feature length programmes for BBC See Hear and a number of documentaries for BSLBT including Shakespeare: Found in Translation, Deaf Sisterhood and Crossing the Divide as well as a feature news story on deaf education for C4 News. Clare is an acclaimed actor currently appearing in Female Parts: Shorts, three one woman shows that explore what it is to be a wife, mother and immigrant. Clare stars in the The Immigrant, which follows Ama, a highly accomplished Caribbean woman and space pioneer in her field. I first met Clare at Merton Studios around 18 years ago when she was a regular on Channel Five's soap Family Affairs. Clare balances her demanding work schedule with her close-knit family; she's a proud mother and grandmother. Her varied TV and Film credits range from Death In Paradise and Eastenders to Secrets and Lies and Bullet Boy (her scenes as the desperate mother in Saul Dibb's movie never fail to move me to tears.) Her theatre credits are too many to list but include Daisy Pulls It Off, The Curious Incident of The Dog in The Night Time National Theatre tour and The Gate for which she was nominated last year for Best Supporting Actor at The OFFIES. On top of all this Clare works extensively in radio for the BBC, regularly participates in role play for junior doctors at several London hospitals, reads for the RNIB and is a patron of Brixton Inclusive. Laura has been running Holbrook Animal Rescue, an independent rescue at her home in Horsham for over two decades. I met her a couple of years ago and I'm genuinely in awe of the work she does. Holbrook have a selection of dogs, cats, ponies, sheep and pigs, amongst other creatures which have all been lovingly rescued and cared for by Laura and a dedicated team of volunteers who arrive every day to help walk the dogs, feed and groom the animals, give them access to proper veterinary care, help to rehabilitate them after the often difficult starts they've had in life and ultimately find them loving forever homes. I adopted my own dog Monty from there 18 months ago and I help walk the dogs there whenever I can. I have never met anyone so completely committed to caring for animals or indeed who manages to stay so sunny and cheerful despite witnessing such horrifying stories that bring the animals to her. Laura is also a very talented artist and somehow she finds the time to paint. You can find out how to support the animal rescue in the link above and find out about Laura's artwork here. Zeb is a Film and TV editor who I met in 2016, another fellow mentee on the Women In Film and TV Mentoring Scheme. With almost twenty years in the industry, she has cut drama, obs docs, children's shows, entertainment and music documentaries. She spent two years living in Paris where she started the Paris branch of international online music show, BalconyTV. Her enthusiasm for all things film, TV and music, led her to co-found MUSEfest, an international showcase of film and music by women, which hosts screening and music events in London and Paris, with more cities in the pipeline. Zeb is a mother of 2 young children, sits on the board of directors for Women In Film & TV (UK), is a member of the Guild of British Film & TV Editors, speaks on panels about her career and life choices, engages with young people starting out the industry, and attempts to balance family life with her achievements in drama and documentary film making. You can read more about her current projects on these links... Born in New York, Raised in Paris, Eastenders, The Dog Rescuers. Hannah is an Officer of the British Army serving with the Royal Electrical and Mechanical Engineers. I was lucky enough to meet her a couple of years ago as she is the fiancée of my long term collaborator, Film Director, Jake Graf. In 2013 Hannah came out as a transgender woman and became the highest ranking transgender soldier within the British Army. As part of the Army LGBT Forum, she became the Army's Transgender Representative where she has responsibility to advise Senior Army commanders on transgender policy, educate the wider Defence and most importantly, mentor and support the Army's many transgender soldiers. Hannah is also a Patron of the charity Mermaids who support gender non-conforming children and their families. You can find out more about Hannah and her associated organisations here. I met Louisa a couple of years ago - she is the Head of Creative for Television at music publisher Music Sales Creative. She oversees the TV operations of Music Sales in the UK, working with broadcasters, production companies, content creators and music supervisors to provide creative services and composer suggestions, as well as handling licensing requests and incoming copyright queries. Recent projects include The Crown, Civilisations, Gunpowder, The End Of The F***ing World and Howards End. Louisa works hard to promote the roles of women within the industry and regularly appears as a speaker or panelist at events within both the music and TV and Film industry. She was listed in SheSaidSo's Alternative Power List 2017 and Music Week's '30 Under 30. Hannah is an incredible singer songwriter and I first met her as a fellow artist on the open mic scene. I've known her for getting on for a decade now and in that time she has gone from strength to strength as a musician, humanitarian and champion for the arts. Her music has been played on BBC Radio 2 and she is the co-owner of music venue The Sound Lounge with her husband Keiron Marshall. They run a variety of projects working with people in need from various backgrounds - from refugees to lonely people within local communities. The video below is one of my favourite songs by Hannah and you can find more about her and her brand new album Elephant Eye here. Sylvie is a TV director and producer with extensive credits in both drama and comedy. I met Sylvie over 15 years ago when she was a director on The Bill where at the time I was working as Post Production Supervisor. Sylvie directed both ambitious live episodes of the cop drama and went on to produce almost 80 episodes including one about the Child Exploitation and Online Protection Service for which she collected a BAFTA. Sylvie's many other credits include Keeping Mum and Faith In The Future but it was during her time at The Bill that I was able to witness first hand what an incredible talent she is. She has the ability to motivate cast and crew to push themselves to achieve their very best and she does it all with absolute dignity, neither a pushover or ball-breaker. I gained the utmost respect for her and learned so much during our time working together. Sylvie is also an exceptionally gifted fine artist and her work is currently being exhibited at The Artmill Gallery in Plymouth. Katherine is one of the most respected and versatile vocalists and topline writers in the music industry today. I met her at an event run by WFTV a few years ago. Since then we have worked together on a few projects and she is the first artist I've ever co-written a song with - a truly magical experience. She performs extensively throughout the world with her vast back catalogue including the huge club hits "When You Touch Me' and 'Tears' with The Freemasons, 'Lost' by Roger Sanchez and 'Dreaming' by The Ruff Driverz. 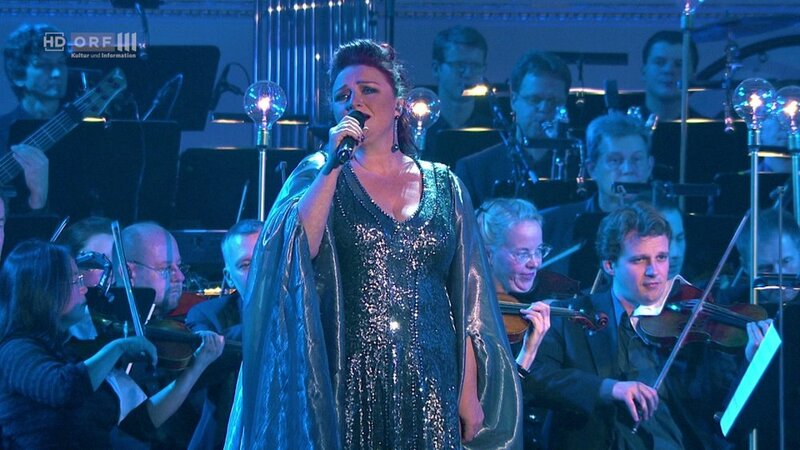 Katherine is also featured on the BAFTA and OSCAR winning original soundtrack to accompany the feature film ‘Gravity’. Her performance on the title track can be heard at the climax of the movie! I've sat next to Katherine during a few sessions recording her vocals and all I can say is she is a force of nature! You can find out more about Katherine here. Christiana is an award winning drama director and over the past couple of years, I've been fortunate to write scores for two of her short films. In 2016 Creative England and the BFI funded Some Sweet Oblivious Antidote starring amongst others, Sir Lenny Henry, Wunmi Mosaku, Colin Salmon and Arinze Kene. In 2017 a Film London Calling Plus short called Support. A graduate of the National Film and Television School, she was selected for the Women and Film and TV Mentoring Scheme in 2015 and BAFTA Elevate Initiative in 2017. Recently she has directed Holby City and Father Brown for the BBC and over the last fifteen years her directing credits include Doctors, Eastenders, Hollyoaks and Emmerdale plus a number of award-winning short films. Having built such a strong body of experience, Christiana is now focused on more challenging TV drama and also feature films. This summer she will be directing BBC prime time hit Call The Midwife. You can view Christiana's showreel below.